Before i get into it, i just want to say that the author has really touched me by writing this book, by writing Lale’s story. I have read many books about the war, about the horrible Holocaust and watched endless amount of documentaries and each time it breaks my heart and moves me in ways it hadn’t before. I think the war is too much of an important time to be forgotten and with these cruel acts we should forever teach our kids, and so on about them – Because it changed the world. This book, Lale’s story will stay with me for a long time and i would happily re-read it because i loved it so much. This book has been number on i believe on the Amazon charts for a long time now and has been catching my eye from day one of release, it wasn’t until my place of work sold this book for £6.00 in hardback that i decided to buy it and commit to reading it. That same evening i sat and began to read this book, this story of love, bravery, courage, hope and a turmoil of emotions as Lale survives life on a concentration camp as a prisoner captured by the Germans. 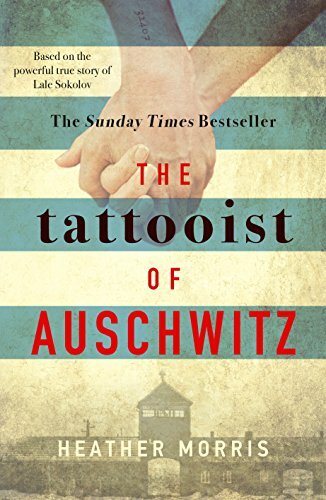 What made this story more interesting is that Lale was the tattooist, he got to meet a very memorable Doctor, if you did History you will recognise this name Josef Mengele – The Angel of death. Lale’s job was seen as something as ‘you are working for them’ but in Lale’s eyes, it was his only chance at survival. From the moment he stepped foot onto the camp, he wanted to live – He wanted to live a free life after it was all over. Then he met Gita, which gave him even more hope and even more drive to keep going because he fell in love, he wanted to leave with his one true love and be free with her. I don’t want to spoil this beautiful love story, this horrific story at the same time because i want you to feel everything i felt. As soon as i read the first chapter, i cried. I am an emotional mess lately but some of these people had no clue where they were going, some did or eventually got the idea when they were faced with it all. Lale had some pretty good luck whilst working in the camp, he skipped death ALOT and i think God really was on his side, though many times he questioned his faith. Which i can understand, how can God allow this to happen? The author did a brilliant job at listening to Lale and re-creating his events into a book. She has done him proud. This book will take you on a rollercoaster of emotions, you will feel sad, happy – sad, anger, hopeful, curious, confused. Which i think is why it has stayed with me because it was one mans journey of staying alive and staying alive with his love – Gita. I have to say honestly, it has been one of the best books i have read in such a long long long time. It’s made it onto my favourite list, and i will pick this up again soon probably Christmas and read it. I’ve read many books about people’s stories and experiences of survival during the Holocaust and each one have created it’s own special place in my heart, this being another one. Please don’t pick up this book thinking it is an action adventure of the war, that you will get to see extreme detailed torturous events – Of course Lale witnessed a lot of horrible things, this story isn’t that. Its Lale’s story – So remember that. I have no more words other than i loved this book so much and i hope this encourages you to pick it up and devour it like i did. OOoh, I saw this on a list and it caught my eye, I’m definitely reading it now!